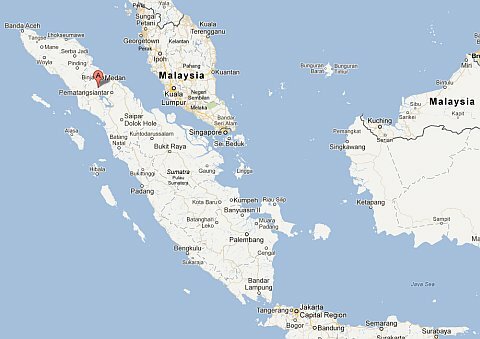 Berastagi is a small town which is a 2 hour bus ride from Medan, the bustling capital of North Sumatra. With nearby Lake Toba getting all the tourist attention, Berastagi has remained a low-key town that’s more popular with weekenders from Medan than foreign travelers. But what stunning volcano scenery one can find in Berastagi. 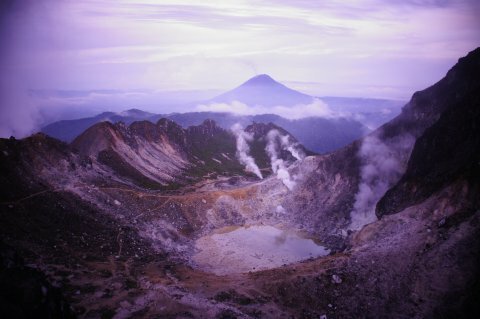 Hiking Gunung Sinabung and Gunung Sibayak on the Karo Highlands are two key attractions in the vicinity. Other sights include traditional Karo villages and waterfalls. Given Berastagi’s proximity to Medan which itself is a short and cheap flight from Singapore and the accessibility of Gunung Sinabung and Gunung Sibayak, I decided to make a solo trip over a long weekend. If anybody prefers an organised tour, please approach iwannatravel. Disclaimer: This trip was taken in May 2012. The information is provided ‘as is’ with no warranties and confers no rights. If you are interested to know more, please add a comment and I will update the post with more details. This entry was posted in Indonesia by atticus. Bookmark the permalink. HI there, great article. Will you send me the maps? I am looking to climb Sibayak soon. Based on your experience do you think trail is still safe in September? 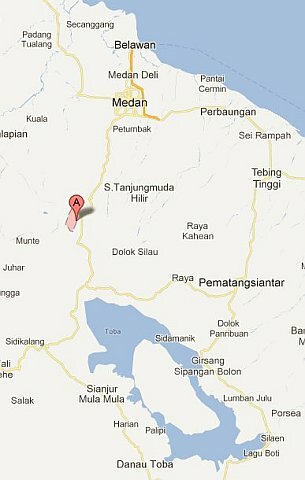 I’ll be going to Medan and Berastagi soon, can you share with me the maps? Links sent to your email. September should still be dry but it’s best you confirm with Smiley. Hi, can you please email me the maps? Could you please send us maps of Bersatagi and its neighborhood? We are planning our holidays and it would be very helpful to have them. Thanks Tj. Hi there, could you please send me the map as well? I am wondering if it is difficult to climb mt sibayak because i am going with a friend who don’t really like hiking. so I am just wondering how difficult is the trek uphill. I believe Sibayak is suitable for beginners. Some parts of the trek were on uneven gravels. Overall, still doable. Thanks for your sharing. I need the maps as well. Appreciated if you can email to me. Thanks!! It is much appreciated if u could mail me the map as i’m going there next week. Please send me the map of Berastagi. I plan to climb Gunung Sibayak next month. Thank you.